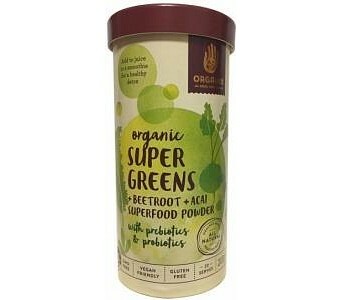 Get your daily dose of macro and micro nutrients with Orgamix's Organic Super Greens Beetroot & Acai Superfood Powder. Full of essential nutrients from nature's green superfoods, beetroot and acai, this superior powder blend is a delicious and convenient way to hit your daily nutrition goal - with a big tick from your taste buds. And with added prebiotics and probiotics, your gut will love you too.